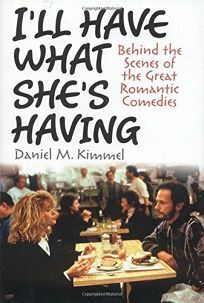 Film writer Kimmel (The Dream Team, The Fourth Network) goes behind the scenes of 15 genre classics to examine what made them great romantic comedies, still able to work their magic years later. Beginning with 1932's Trouble in Paradise and ending with 2003's Love, Actually, Kimmel dishes the dirt on everything from creative teams birthing miracle scripts to sets locked in such tension it's a wonder a movie got made at all. On-set drama is plentiful, including director Billy Wilder driving Humphrey Bogart up the wall with rewrites on Sabrina, and Marilyn Monroe driving Billy Wilder up the wall-and his film half a million dollars over budget-showing up seven hours late to the set of Some Like it Hot. Not all the films suffered such turmoil, evidenced by Katherine Hepburn's 1940 comeback vehicle The Philadelphia Story and Julia Roberts' star-making Pretty Woman, both of which are recalled with candor and affection. There's lots of minutiae and last-minute tweaks that make a film (like When Harry Met Sally's signature happy-couples interludes) to broaden readers' appreciation; the reading experience is akin to watching a classic with a knowledgeable and enthusiastic friend, and sure to revise readers' to-rent lists and Netflix queues.